Dental Plans Vs. Dental Insurance: What&rsquo;s the Difference? Dental Work: At What Cost? Did you know that 1 in 4 US citizens don’t get the dental work they need done because it costs too much to do out of pocket? That means thousands of Americans are walking around with cavities, root canal work, gum disease, mouth sores, and other dental problems simply because they can’t afford to fix them. And with dental fees climbing each year, the situation only seems to be getting worse. Fortunately, there are new solutions rising to these ever-growing challenges. In the wake of less than effective health care options for dental procedures, dental discount plans are becoming the obvious choice for people who want to take care of their dental health without breaking the bank. If you’ve never heard of a dental plan before or are confused about what the differences are between these and dental insurance, we’ll clarify that right now. Plus, we’ll show you exactly how much money people are saving right now by opting into a dental plan. Dental Plans Vs. Dental Insurance: What’s the Difference? A dental plan is like a warehouse club where you pay a yearly membership and you get to partake in the club benefits (like Costco or a country club). In this case, the perks you enjoy are deep pocket discounts on dental procedures, flexibility, and availability. A dental insurance plan, on the other hand, is just like your health insurance plan only for dental. You’ll pay monthly fees (called premiums), and the insurance provider will cover a portion of the dental fees you accrue. There will also be some sort of copay and deductibles for every visit or procedure and plan with the insurance provider. Regardless of whether you're using a dental plan or insurance, realize that you are only covered if you use one of the dentists within the particular network. If you go out of network, you lose coverage and need to pay out of pocket. That's why it's important to see how many dentists are within a provider's network. Good dental plans will have more than 100,000 dentists working within their network, so you are sufficiently covered wherever you live. It would also be a good idea to talk to your dentist (if you have one that you are currently using and happy with) to see which dental plans they work with. Okay, so you have a basic definition of both dental discount plans and dental insurance, but that doesn’t really tell you much about the financial side of things. To be honest, each one comes with its own benefits and costs analysis. If you'd like to read more about how dental plans can save you money over dental insurance, check out this insightful article on the topic. If you want to make the calculations for yourself though, you have to crunch the numbers. The biggest indicator of how much you can save with dental insurance and dental plans is the coverage you get. So, the plan and provider that gives you the biggest discount (i.e., the most coverage) for the dental procedures you are going to need is the gold medal finalist. There are several other factors to consider as well. For example, how much premium are you paying? The premium is the monthly fee that you pay for your insurance or discount plan. Most of the time, these premiums will average around $100-$375 for a dental plan. The premiums for an insurance plan are usually a little higher, around $250-$400. Depending on which plan you get, you could be saving a couple hundred dollars a year. Another huge savings consideration is your annual coverage cap. Insurance providers will cover you only up until a certain amount of money, usually $1,000 or $2,000. So, if you have a dental procedure that costs you more than that, you are out of luck. This annual cap applies to all the dental procedures you have done within a 12-month period. That means if you have a cleaning done, a cavity filled, and a crown put in all in the same year, you’re certainly going to go over your annual limit. When that happens, you’ll pay for the remainder of the procedure and any subsequent procedures out of pocket until the new year begins. Dental discount plans have no annual caps. You will always receive the discounted price on all procedures covered. This is one of the biggest ways you can save using a dental plan. Additionally, deductibles weigh in here. A deductible is the amount you'll have to pay out of pocket before the insurance policy kicks in. Dental plans don't work with deductibles. Like annual caps, you get the same discounts all the time from the day you sign up. So far, we’ve shown you a pretty accurate picture of the differences between dental insurance and dental savings plans. Now, we’d like to look at just how much you can save with a dental plan if you have no insurance at all. Without a question, you will save thousands of dollars every year that you use a dental plan, and the savings only increase the more procedures you have to have done (not to mention the number of people you have to cover in your family). Your 2 yearly checkups (once every 6 months) would normally cost you around $130 without any type of coverage at all. With a dental plan, that price falls way down to just $30. You’re saving $100 just on routine checkups every year, and that doesn’t include x-rays, cleanings, and the more serious dental procedures that you’re likely to need even more if you’ve been neglecting your dental health. If you’d tally up the costs of these procedures with and without the dental plan, you’d be looking at a savings of $3530! ($4200 versus $670) This is a typical example of how much money you could be saving by using a smart dental savings plan. With numbers like these, it’s a travesty that anyone pays out of pocket for dental work these days. There’s really no contest here. Dental discount plans help make visits to the dentist more affordable than ever before. There are plenty of excellent providers that have discounted prices like DentalPlans.com, Aetna, and 1Dental.com. These providers are well-known in the industry, reliable, and offer a variety of plans to suit your budget and life situation. 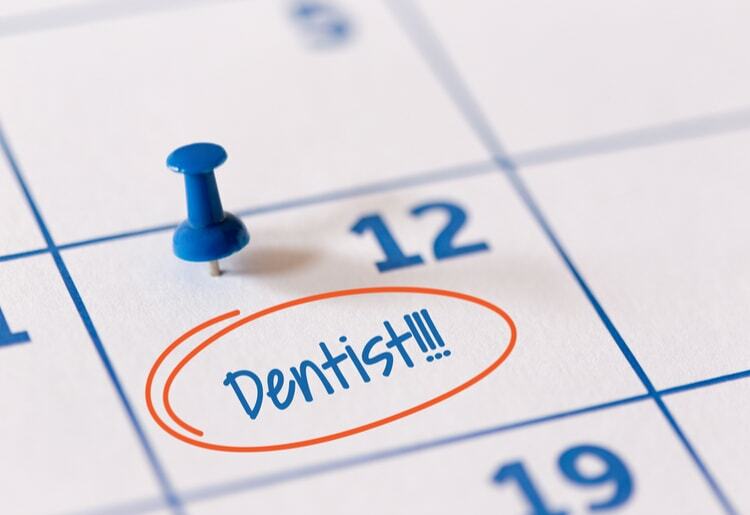 The time to start taking care of your dental health is now, and with affordable dental discount plans, you finally can. Sign up for a plan today, so those pearly whites will be there for you whenever you need them to be.